Tracy's Notebook of Style: Target $5 Beauty Boxes are Back! 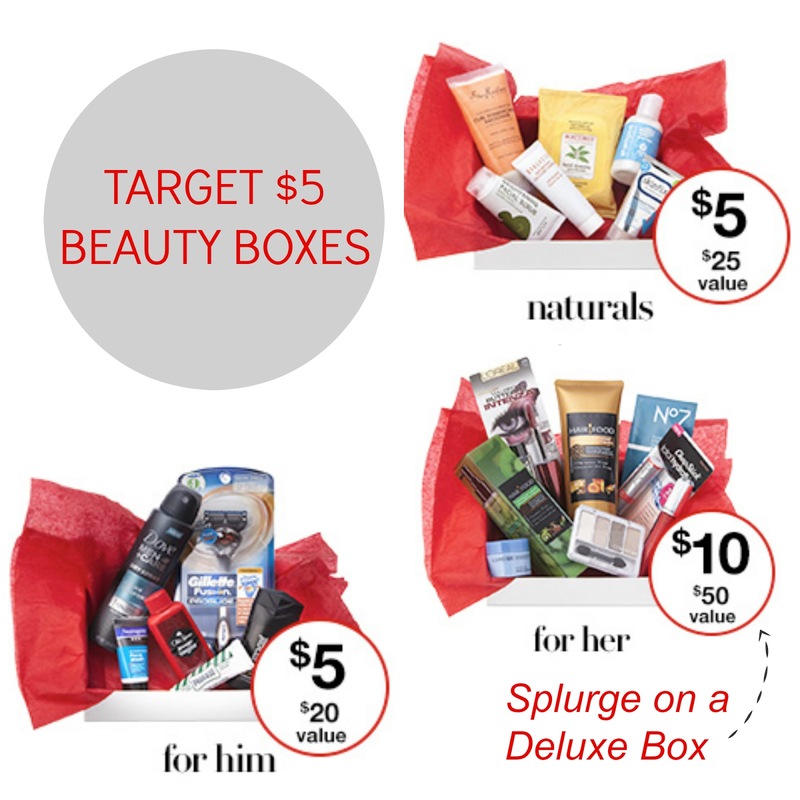 Target $5 Beauty Boxes are Back! To kick off Cyber Monday, Target announced three beauty boxes starting at just $5 and a deluxe version for only $10! This is a one-time only purchase and won't last long! Which box will you be ordering? Get yours today by clicking on the links below before they sell out! How on earth are the boxes so inexpensive?! And more importantly, why don't we have anything like this in Canada? Just got mine in the mail today, awesome stuff!!! Thanks for the link! TODAY ONLY Free Shipping Deals!! Sales Not To Miss + Style Steals! Old Navy SALE - up to 60% off! Forever 21 + H&M Free Shipping Deals!